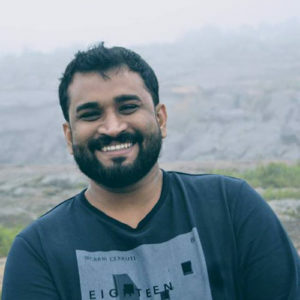 My name is Safeer, a Web Developer from Kerala, India with 9+ years of experience, specializing in responsive design, custom WordPress builds and WooCommerce. I’m an Open Source enthusiast and lover of clean & well-documented code. I currently work for Dream Theme, the developers of The7, one of the best selling Multipurpose WordPress theme on ThemeForest. I spend most of my time helping users of The7 and WordPress. I’m also working on a couple of development projects on top of WordPress in my after hours. Before joining “The7” team I have built a lot of WordPress sites, Plugins, and custom PHP solutions for Portrave Solutions, Offshorent & Zendesign. I have been working on the web industry since 2009. Are you looking for help customizing your WordPress theme? I’m here with 9 years of experience in theme and plugin development and customization. Install and setup WordPress, Install Theme and plugins, import demos. Get your site ready in 24 hr, start adding/editing your contents. Not a fan of premium themes? Want to convert your own design to a full-fledged responsive WordPress theme? send me your designs. Want to Migrate your content from Drupal, Joomla or custom Php/MySql to WordPress? Or Transfer custom post type content from one theme to another. Keep your site updated, secure, and smoothly running by providing comprehensive maintenance services. Regular monitoring and backups. I have worked with Safeer on a few complex projects and in all cases, the work was done on time, on budget, and with a high degree of professionalism. Across the board, I enjoyed working with Safeer. Safeer not only did exceptional work based on the specs I gave him for each project, but he also gave input on how to make the end product even better and cared about how users would engage with the builds. I will be using Safeer again in the future and would highly recommend his services to anyone. Our web development agency has hired Safeer for a variety of client projects, from simple content and design/CSS modifications to advanced coding and problem-solving, resolving WordPress theme and plugin conflicts, and other similar tasks. Safeer has been a pleasure to work with: dependable, delivering on time and on budget, successfully anticipating how long a project might take, and with outmost quality. Not only that, he has been easy and wonderful to communicate with in the process. I would definitely hire him for future projects. We had a complex website issue and couldn’t find anyone to remedy the situation. We reached out to Safeer for help. He understood the issue right away and came up with the perfect solution, which got us back up and running immediately. Safeer is a real treasure. He actually cares about you and your website and he knows exactly what to do. And then he just gets it done. We will always turn to Safeer for any of our website needs. Highly recommended! We have hired Safeer more than once for our website needs. He understands whatever the problem is and just gets it done. We will definitely hire him again for any website issues. Safeer understands websites, understands code, and understands what your website needs are. Then he just takes care of it. Completely trustworthy, highly knowledgeable, and you are definitely in good hands with Safeer. Safeer has worked on several website projects for my company. I can always count on him to come through for me. He is quite knowledgeable about coding and building websites. His expertise and professionalism always shine through in whatever project I assign to him. And, he always meets my deadlines. I will continue to look for help from Safeer for my future projects! Safeer treats client’s website as his own. Apart from accomplishing your task properly, he is always glad to give a useful advice, offer an optimal solution and even suggest you refrain from changes if he is sure they won’t affect the site in a positive way. Please well define your requiremnts for a quick estimate and accomplishment, with necessary illustration and screenshots (You can host them at Postimages or imgbb etc) and links to pages in reference if any. Providing all tasks in a numbered list is very much appreciated. Also, include verified website credentials if necesary. After submitting a request, you will get a confirmation email with the estimated time and price required to accomplish your task. I may also ask you for some clarifications to avoid confusions. Standard Working days: Monday – Friday. Standard working hours: 07:00 – 16:00 CET.